Can Sony still hold its own in the increasingly tough music game space? The real treasures, however, are the one hit wonders and standout tracks from forgotten pop stars of yesteryear. Transvison Vamp's Baby I Don't Care will turn the most sheepish participant into a floor-stomping diva, and The Communards' Never Can Say Goodbye is inexplicably perfect for multiplayer silliness. Even Take That's Could It Be Magic is a great laugh if you swallow your pride, but it is Barry Manilow's Copacabana that is the real living room crowd-pleaser. If there are any disappointments, it is the lack of rap songs, which have always been one of the best distractions SingStar has to offer. Sadly, there are two pieces on the disk by Timbaland, who has 'allegedly' stolen tracks from the chiptunes scene, which uses videogame hardware of old to create electronic music, and used them on a Nelly Fertado album. It seems a shame somebody who has profited without permission from an underground gaming scene that he has been very derogatory about should now make money from the games industry. 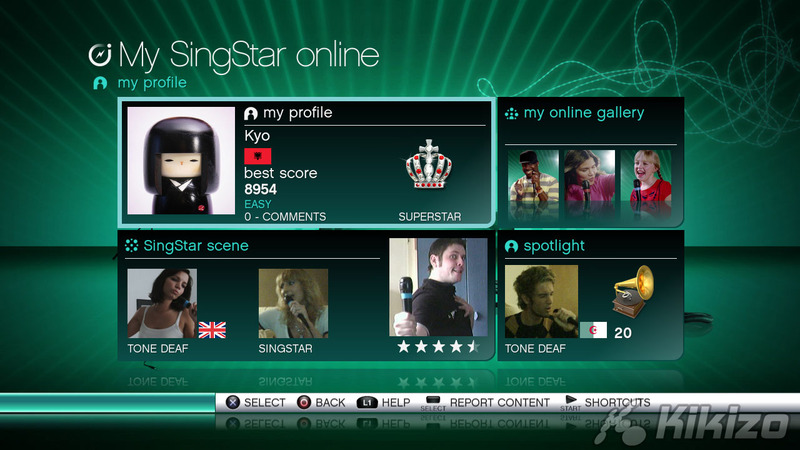 Other than niche gaming-politics issues, problems with SingStar Vol. 3 are few and far between. Initially, we had noted that the expected update that would allow disk swapping with PlayStation 2 editions of SingStar had not been included, but moments before going to press, slipping the disk in for one last blast on All Night Long by Lionel Richie, the update did appear via a download, so, as long as you're connected, you should be fine. It would have been nice to see a few more new multiplayer game variations, and some of the tricks Lips has up it's sleeves, such as the ability to import your own music. In keeping thing simple, though, Sony may have made the right choice, as it is the series' purity that makes it so perfect for the setting it calls home. 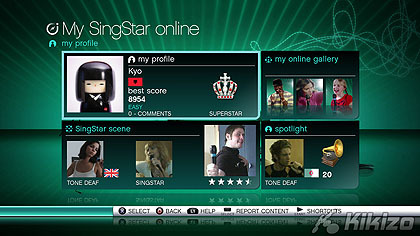 For those unaware, along with SingStore, the package also allows access to My SingStar, which predictably models itself on the social networking formula of Facebook and MySpace, offering the chance to upload and view videos, share content and join in with the fledgling karaoke community. 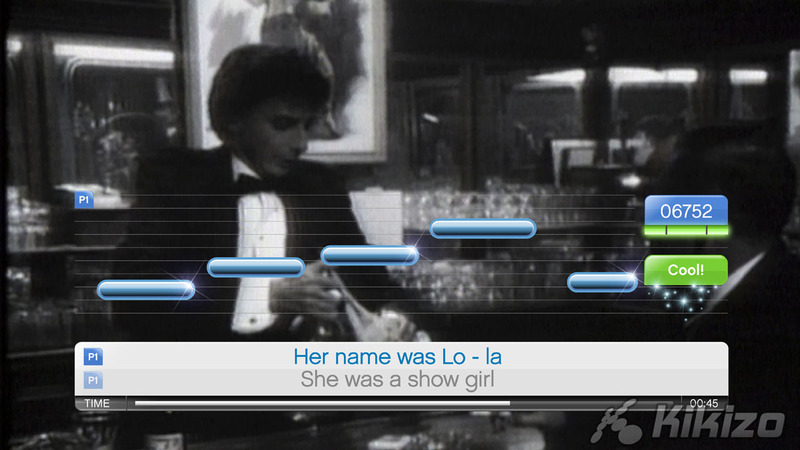 It's a very functional, easy-to-use extra, but it does little to greatly increase SingStar Vol. 3's worth. Like every SingStar release before it, Vol. 3 is little more than a compilation of new tracks built onto Sony's popular and excellent game system, making it both a very samey sequel and a fantastic and well-needed addition to the series' disk-based library. If you're looking for innovation, go elsewhere, but for those who know they love SingStar, this is an essential new song pack. THE VERDICT: It is just another SingStar compilation, but contains perhaps the best track list on PS3, and the simple, clear presentation that Lips fails to achieve. Vol. 3 is no nonsense and basic, but it offers just what SingStar fans are likely to love most: the chance to make a mess of their flat and their voice box.